Sunny. High 81F. Winds S at 10 to 20 mph.. This architect’s sketch shows how a new addition to Vermillion High School may appear when completed. The Vermillion School Board decided Monday to continue its efforts to eventually construct the addition to house top administrators and provide space for the district’s alternative school. 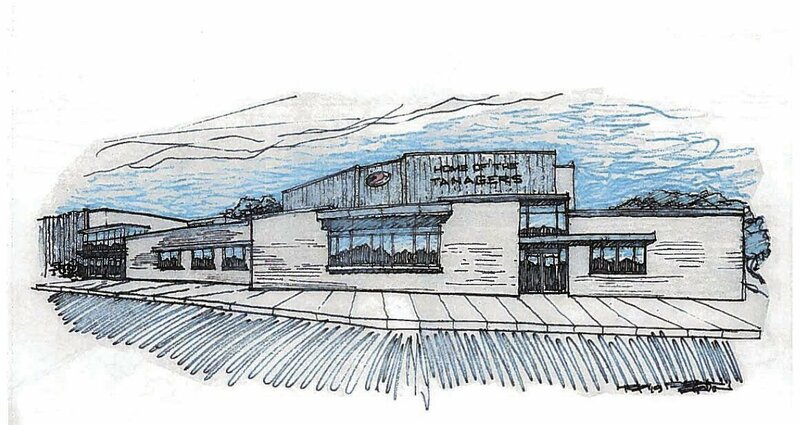 This architect’s sketch of “Option B” shows the possible design of an addition to Vermillion High School to provide office space for the district’s superintendent and other top administrators. For over two decades, their offices have been located in a building in a downtown Vermillion. The new addition will also provide space for the district’s alternative school. The Vermillion School Board, which has been exploring the option of moving top administrators out of a downtown administration building that it leases for approximately $4,000 per month, set plans in motion at its Monday meeting that will eventually lead to the construction of a new addition onto Vermillion High School. The addition will house the offices of Vermillion School Superintendent Damon Alvey, Business Manager Sheila Beermann, and their support staff. The new structure will also house the school district’s alternative school, which currently is located in a strip mall on Vermillion’s Cherry Street. Plan A calls for construction of the new addition on the north side of the high school near doors which had originally been designed as the school’s main entrance. Those doors haven’t been used for several years. Plan B shows the new addition surrounding the northeast corner of the Thomas H. Craig Center for the Performing Arts. Both options, he said, are designed to house roughly the same type of offices that are located in the present administrative building located downtown. “Essentially, they would be the same (as the) administrative center downtown and the alternative school that we have on Cherry Street now would be condensed into this location,” the superintendent said. Both options also include space for the district’s alternative school currently located on Cherry Street. The district’s building committee has been reviewing the two options and getting input from the school board’s architect for the last two months. The superintendent a decision by the board Monday night would allow architects to finalize professional drawings of the addition over the next four weeks. “That would get us into near the end of May. In early June, we would do mechanical drawings and start to get cost analyses from that,” he said. “July is when we would have to get specific specs for the details that would go out for the bidding process so that contractors in the area would be able to see what they’re bidding on which would take place in August. We would put those bids out to spec at that time where any contractor in the area that wanted to take a shot at winning the proposal would get the details back to the board. Alvey said the board would then open and bids in September. He noted that Option B “confines the public aspects of the school district, including the theatre and the commons, all in one area. That was our thinking on that. It creates a little bit nicer aesthetic from the parking lot of what we think of as the front of the building with the additions over the past 25 years, so that is our recommendation. They’re quite comparable in cost and construction time, and they’re both right around the same square footage,” Peterson said. School Board President Shannon Fairholm noted that going with Option B does not address what the original front of the building currently looks like. “It doesn’t help enhance it at all, not that Option A enhances it at all to begin with,” she added. Fairholm said the school architect has suggested that some things can be done at a relatively low cost to improve the exterior view of the original front entrance. School Board member Tim Schwasinger said he originally had preferred Plan A, the addition on the north side of the high school. “I was sold on A to begin with and as we talked about it, B, for the longer term, good seems to be the way to go,” he said. The board ultimately approved a motion to pursue Plan B and to move forward with more formal drawings, details and costs in order to keep this process moving forward.